HODL SR is a new add-on in our paid Indicator offering suite by hodl.org. The author claims to have Support & Resistance levels accurate to be used as a basis for automated trading strategies. The Simple Strategy is the recommended approach for beginners. 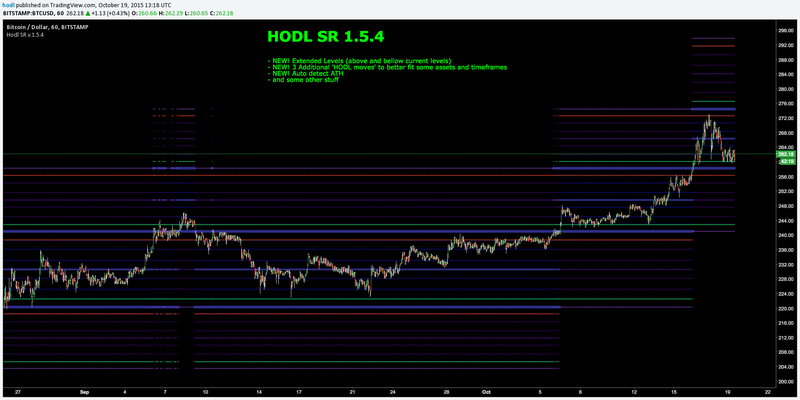 HODL SR was developed initially for trading cryptocurrencies such as Bitcoin. However, the HODL SR package is applicable for every tradable asset, i.e. equities, futures, and FX. There are other strategies available for wave traders or more advanced market enthusiasts. The author’s site provides complete documentation, examples, Simple Strategy details and screencasts. With any questions or for more examples contact the author.